National Mortgage Professional Magazine is proud to announce its annual list of Top Mortgage Employers. We polled our readers about their employers based on the following criteria: Compensation, Speed, Marketing support, Technology, Corporate culture, Long-term strategy, Day-to-day management, Internal communications, Training resources, Industry participation and Innovation. Based the above criteria, we weighted factors that are more important to our readers (i.e. our readers told us that factors like corporate culture was considerably more important to them than speed of company), collected votes and factored in industry reputation to create a list of the Top Mortgage Employers. Professionals who want to build relationships and develop and share their strengths, both personally and professionally. At AFN, we are dedicated to making every loan a relationship that will last a lifetime. Originators that make it their personal mission to deliver the best possible loan experience and solutions to their borrower. Producers at Caliber who value a company that rewards them every day–both financially and culturally–excel here. The hard-working, forward-thinking and big-dreaming professional. Motivated and driven individuals who strive for excellence in their careers and accelerate in an innovative and inspiring environment. People excel when they put the customer first. #ECETNENE … Every Customer, Every Time, No Exceptions, No Excuses. Talented people whose end goal is to craft financial solutions custom-fitted to each customer’s needs. Gateway employees are hard-working individuals, dedicated to a strong customer experience. Loan Originators working within a POD model, which allows them to focus on sales and exponentially boost production. Employees that value our community-drive environment and have a passion for loving people will excel at Movement Mortgage. Those who work hard, go the extra mile, and have a strong desire to succeed, will reach their full potential. Motivated individuals who want to be progressively BETTER, as demonstrated through their actions and willingness to adapt to the landscape. Motivated, focused and self-starter individuals driven to accomplish more and excel in providing a positive and personal experience. Top performers up to the challenge of being surrounded by the best and discovering how good they can really become. Our top originators are self-starters who are empowered to provide superior customer service with a unique personal touch. Team members who are driven to build a business that focuses on growing happiness. Team-oriented employees who enjoy working to make the dream of homeownership a reality while delivering excellent customer service. More than 30 percent of our team are true thought leaders at various levels in state and trade associations. Top originators who are driven to excellence in customer experience. Originators know nothing is more valuable than the relationships they build, at ACM, originators see the face of a future partner/friend. People whose interactions show they support our core values: Family atmosphere, unequaled personal service and giving back to the community. Hard-working individuals who enjoy in fast-paced environments and thrive on success-based compensation and rewards excel at Castle & Cooke Mortgage. Employees who are motivated, self starters with a passion for excellence and a customer-focused mentality. Talented, commitment and professional individuals, dedicated to providing exceptional customer service through each stage of the loan process. Entrepreneurial, forward-thinking individuals who are nimble and well-connected within the industry. We work well as a team to make sure that the member experience is nothing short of exceptional. Knowledgeable Mortgage Loan Originators that can convey proper expectations to clients and trust the office support to handle the rest. Individuals who realize that a remarkable, exceptional customer service experience is key to success in this industry excels at Embrace. Individuals who value a family atmosphere with the technology and processes of a cutting-edge organization. Mortgage individuals who are driven to make a difference in borrower's lives see their careers excel at Envoy. Mortgage loan professionals who are focused on helping customers on their loan journey. Service-driven individuals who are passionate about helping to improve the lives of families in the modern technology era. Loan Originators who are given the tools and resources needed to build their business and get loans closed on time. Employees who make the most of a high level of autonomy and decision-making authority. Dedicated professionals who excel in a culture that both encourages independence and is family-centric. Success at FDL comes from being highly empathetic; working directly with customers to find solutions that lead to financial security. Every employee has the capability of excelling by setting goals and keeping lines of communication open throughout the lending process. Highly-productive go-getters who are given the tools they need to be successful, while embracing our pillars of "Opportunity, Service & Innovation" in a family atmosphere. Individuals with lots of hunger that have a good character. Originators that are obsessed with taking care of a client. All employees excel at this company. We have a designated trainer to help all those coming on board. Those who are in this business for the long haul and want to get to the next level of expertise. Mortgage professionals committed to closing every loan on time … ALL the time. Everyone can. The company provides the support and the autonomy to be the professional that you want to be. Loan Officers who know their best years are ahead of them and who are excited to get there. 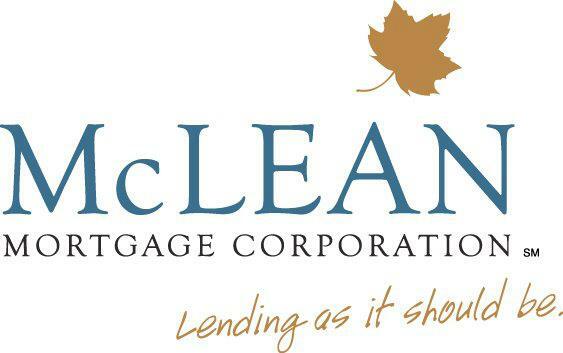 Referral-based top producers excel at McLean Mortgage. One-third of our sales force placed in the top one percent nationally. Conscientious, hard-working employees who consistently go the extra mile to provide uniquely personalized service to their clients and colleagues. Customer-focused problem-solvers who understand using technology as means to assist human interaction in achieving Raving Fans service. Producers that need the right balance between technology/touch, are committed to excellence, and like to have fun grow here. High-energy, driven professionals driven to achieve award-winning success, while truly making a difference in lives of our customers. Individuals committed to blending the human experience with the loan buying process. Top Originators who play an active role in their communities and build strong personal brands that compliments the company's values. Career-focused individuals who treat others how they want to be treated in return. Driven and proactive individuals who enjoy providing exceptional customer service to those who are going through the mortgage lending process. Make your job as big as you can—contribute, add value, achieve! Originators wishing to close loans quickly with a full product lineup and individualized support. Competitive originators that have the desire to custom build their P&L, pipeline and branch exactly as they want. Team-oriented individuals … everyone works towards the common goal of closing loans! Those who take pride in being the BEST, move FAST, collaborate and innovate reach new heights at On Q. Individuals who value integrity and transparency, feel empowered to innovate and strive for greatness. MLOs seeking business growth through great pricing, cutting-edge secondary marketing technology, in-house marketing, and best-in-class underwriting and fulfillment. Entrepreneurial-minded individuals who want to grow their business with access to industry leading operations support and technology. 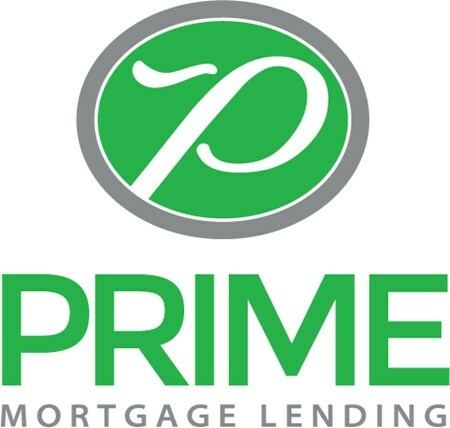 Individuals that take advantage of the many benefits that Prime Mortgage Lending offers are highly successful. We’re seasoned mortgage professionals who actively share best practices to help each other succeed in any market! Employee Satisfaction=Customer Satisfaction. How do we know? Well, we ask them with our cool app called myradiusGO. Talented individuals that are dedicated to providing superior customer service in a fast-paced work environment. When we all work together for a common good, to help fulfill the dream of home ownership, we all excel. Motivated mortgage professionals who are willing to adapt to technology. Shamrock Financial was born to inspire talented people in helping lower the cost of homeownership in communities throughout New England. Driven individuals in both sales and operations, that need a company with the tools and support to achieve their goals. Results-driven individuals who want to make the mortgage process fun, fast and enjoyable. An individual who is goal-oriented and who enjoys working in a team-oriented culture will excel here at United Northern Mortgage Bankers. Tenured, purchase-driven Loan Originators with a strong history of serving the client needs of military veterans, Realtors and builders. Employee-empowered organization committed to providing the best possible customer experience through technology and communication. Top Mortgage Originators who are driven to excel. Top Originators who are focused on working and developing purchase business with Realtors and borrowers. Self-motivated, enthusiastic team players who make improvements in the day-to-day work lives of ARMCO employees and clients. Class Appraisal is a leading AMC that promotes team collaboration and produces innovative technology to streamline the appraisal process. Individuals committed to their professional growth and contributing for the betterment of customers and the company excel at Credit Plus. Employees who thrive at DocMagic are smart, tech-savvy, highly-motivated, service-oriented and take GREAT pride in what they do. People who believe in the organization's values and vision, who approach their roles and responsibilities with an entrepreneurial can-do spirit. One hundred percent team players, always collaborating; helping each other out. Laser-focused on always providing excellence in lender client support. Put simply, employees that have vendor and lender experience, and have the discipline to work autonomously (often remotely) without supervision. Quandis has rigorous hiring standards, recruiting those ideal-fit people who are very smart, and can work hard and play hard! Employees who excel at RoundPoint are people-centric individuals who are empowered and driven to provide the best customer experience possible. TagQuest gives fantastic training and truly wants you to succeed as an individual. Driven professionals with unparalleled dedication to the customer 100 percent, 100 percent of the time. Top performers at Citadel Servicing Corporation possess an entrepreneurial spirit and display entrepreneurial attitude in their work. Smart people with entrepreneurial attitudes dedicated to teamwork and providing superior client service. Goal-oriented associates driven to provide excellent service and mortgage products. Plaza Home Mortgage Inc. has earned a well-deserved reputation as an esteemed industry leader. Customer service-oriented individuals with the common goal to close loans will always succeed at REMN. Driven, coachable professionals who demonstrate a strong work ethic and positive attitude, and are committed to delivering great client service.